Organic food: is it healthier? The organic food industry is big business. 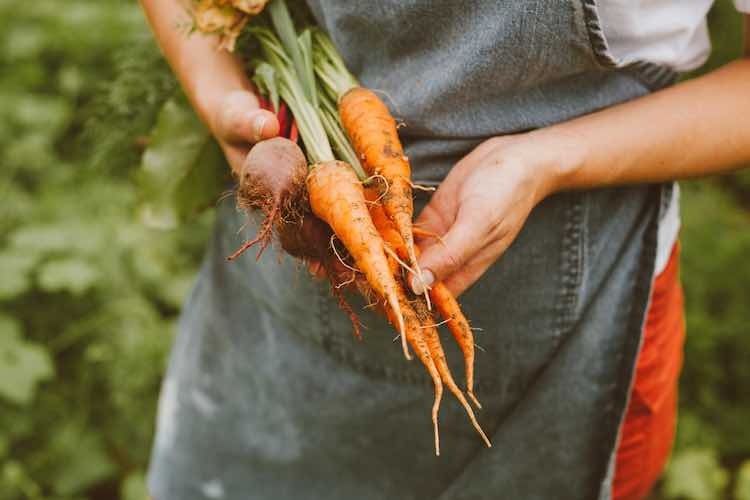 Fuelled by consumer demand resulting from health, environmental and ethical concerns, it’s no surprise that eating organic is one of the leading food trends. Organic food is produced without the use of synthetic chemicals like pesticides and artificial fertilisers and also doesn’t use genetically modified components or expose food to irradiation. Nutrient levels in foods vary for all sorts of reasons. Growing region, rainfall, time of year for harvest and post-harvesting storage time all substantially affect nutrient levels. A systematic review published in 2012 concluded that there was a lack of strong evidence to show that organic foods were significantly more nutritious than conventional foods. Eating organic didn’t result in any additional health benefits for allergic disease or bacterial infection either. A recent review published in the British Journal of Nutrition that found that organic crops did contain higher levels of antioxidants than conventional ones. However the review also found no difference in many other nutrients tested. When choosing organic produce, the absence of synthetic pesticides ranks high on the consumer radar. Too much of any pesticide residue on food is harmful. Thankfully, levels in Australia are monitored and kept within safe levels. Washing and peeling food before eating can reduce residues even more. Furthermore, organic produce is only free from synthetic pesticides. Organic certification allows produce to be grown with naturally occurring pesticides such as pyrethrins, light oils, copper and sulphur and even some types of pesticide-producing bacteria. All these pesticides can be just as harmful to humans as synthetic pesticides. To put pesticides in context, over 99% of pesticides eaten in a typical diet are naturally present in the food to start with, not added by farmers. And of these pesticides, half will cause cancer in rats if given in high enough doses. Very low doses of natural pesticides in foods however may explain some of the health benefits of fruits and vegetables as they can stimulate the immune system by placing a very mild level of stress on the body. The taste of organic food is a key reason given for buying them. The experience of taste is a very personal one and strongly influenced by expectation. The taste claims unravel though when organic food is put to the blind taste test against conventional produce of similar quality. People cannot tell the difference. That does not mean that a freshly picked organic apple won’t taste better than a conventional one that has been sitting out of storage for weeks, but when you compare ‘apples with apples’ the only taste difference is in a person’s mind. On the health scales, there is little to separate organic and conventional produce. The biggest food health issue we are facing in Australia is how little fruit and vegetables we are eating in the first place. Addressing this by eating more foods that we know are good for us will make any ‘organic vs conventional’ debate fade into insignificance. 1. Smith-Spanglet C et al. Are organic foods safer or healthier than conventional alternatives? : A systematic review. Annals of Internal Medicine Epub online June 12, 2017. doi: 10.1001/jamainternmed.2012.348-366.